Redefining the electronics commerce landscape. We make products that suit your lifestyle. Sound that will satisty listeners. The features you need to be productive. iWorld LLC is redefining the electronics commerce landscape. iWorld LLC is a privately held company which was founded in New York in 2009. iWorld���s principals immediately recognized the impact that smartphones would have in the US market, and seized the opportunity to become a leading supplier of electronic accessories. iWorld had noticed a sea of black and white accessories that flooded the market, and while understanding the importance of offering something unique and different, iWorld decided to become the first company to introduce color to the category of CE Accessories. This set the trend for many years to come and while other companies have followed, iWorld has maintained its position as a leading supplier by being first-to-market and ensuring that Fashion-meets-Function in every new item launched. 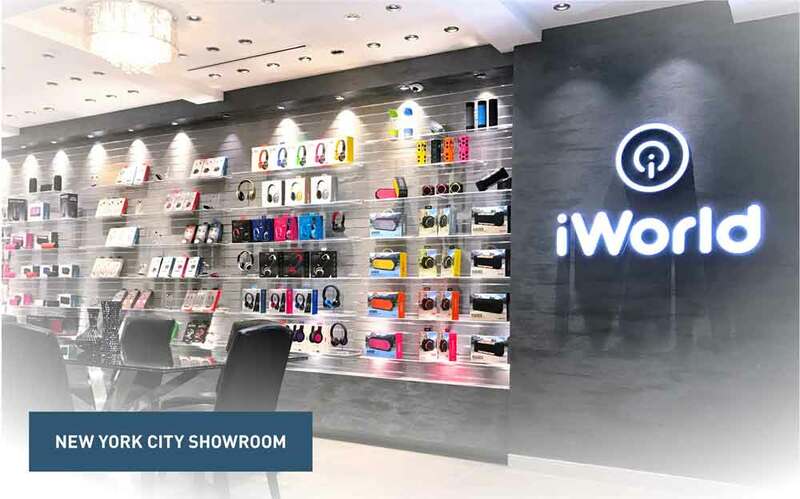 iWorld���s flagship showroom and design studio is based in the heart of New York City and we also have offices set up in Bentonville AR, Shenzhen China, Mexico, Israel, and the U.K. We also have QC offices set up throughout Asia who are responsible for on-site inspections and audits of all factories and to ensure quality control and assist in sourcing.